The Laminaria Maternity Swimsuit is a Maternity Sewing Exclusive meaning it is available for sale only on Maternity Sewing. 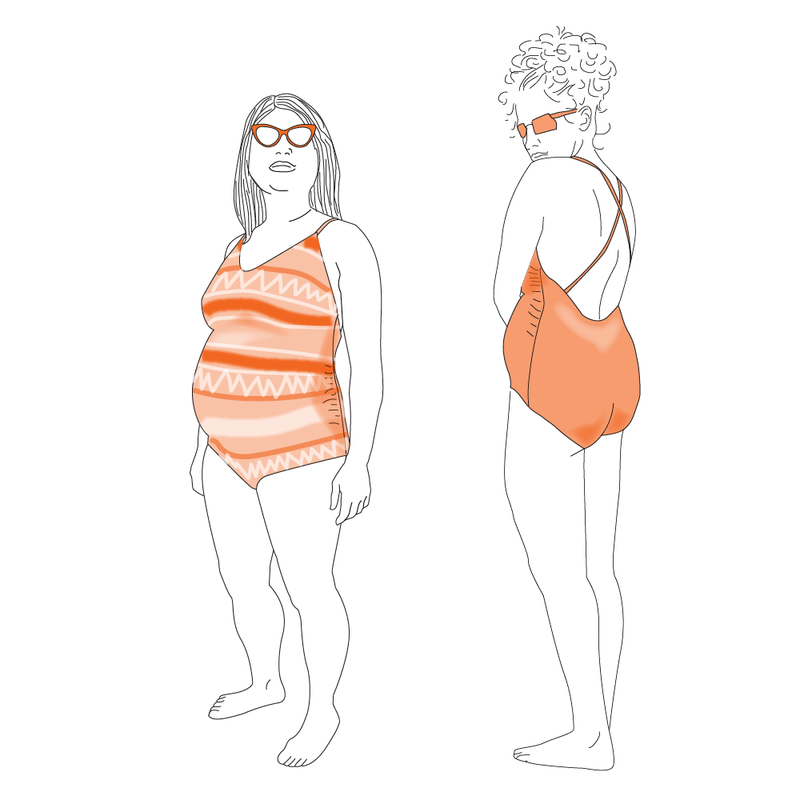 The Laminaria Swimsuit was originally released in a non-maternity version by Tuesday Stitches. This new maternity version has been drafted on a maternity block. 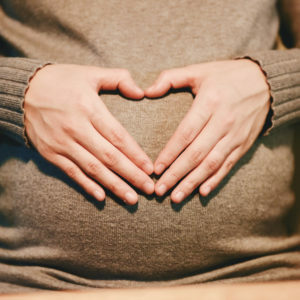 That means you can select the size you would have worn before pregnancy and sew that same size for this pattern for your late pregnancy wear and it will accommodate the changes in your body shape and an average pregnancy weight gain. 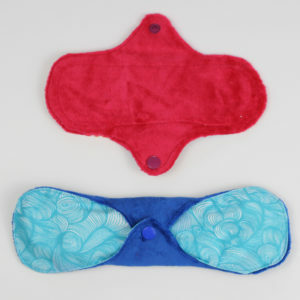 The pattern comes in two different cup size options – A-C cup and D-F cup. Select the cup size based on your current (pregnant) cup size. The Laminaria Maternity Swimsuit is a one piece swimsuit that is fully lined. 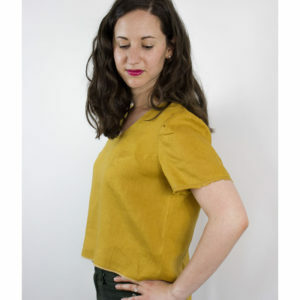 It can be sewn with a sharp V neck or an easier-to-sew rounded V neckline. Instructions are included for optional cup insertion. The straps can be tied around the neck halter style or can be attached to the back either straight down or crossed across the back. 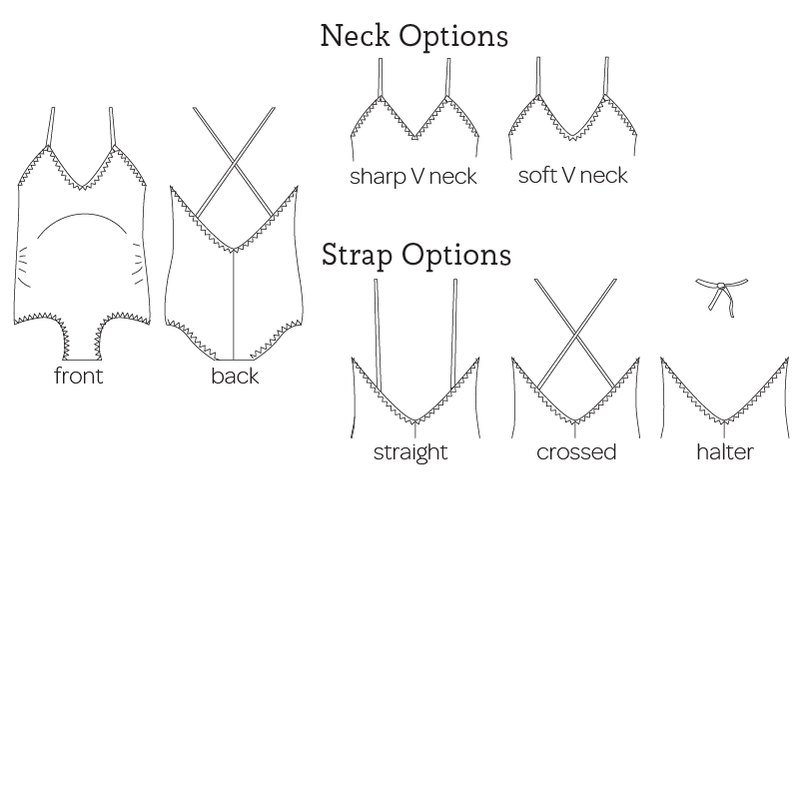 If you’re wanting to sew a swimsuit but feeling a little unsure about your skills, Tuesday Stitches has a sewalong on their website to help guide you through the process. They also have a variety of hacks including information to help make the swimsuit more supportive and comfortable for larger busts. When is this suit meant to be worn? Likely you’ll find this suit to be best for late maternity – 2nd and 3rd trimesters. Because of the slim fit, the ruched front accommodates and emphasizes your belly which many women don’t find comfortable postpartum.